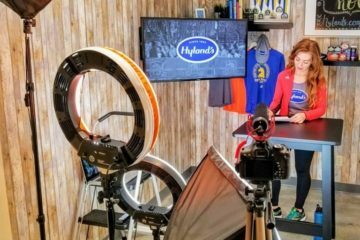 Best Gifts for Runners Head to Toe – list of the must have presents for your favorite runner (or yourself) this season! Plus Cyber Monday deals and other promos! Check out this list of the best gift ideas for runners. 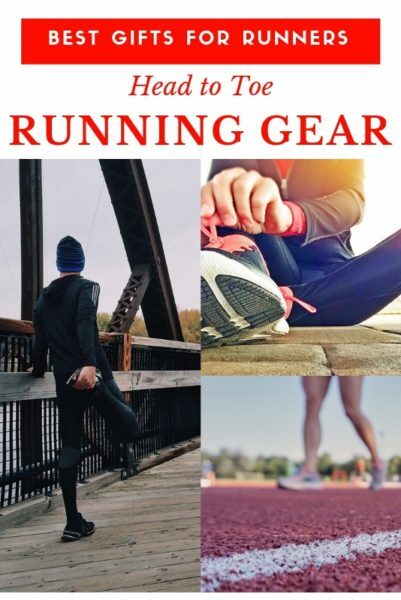 From head to toe here’s all gear your runner (or you) want to wear! And if you’re a runner looking for gift ideas – make sure you are specific with size, color and style when you’re sharing your wish list. Ponytail Hat with Ear Cover – Hats, beanies and visors are a great gift idea because you don’t need to know their size. And there are some super cute and fun designs! This hat is awesome because it also works to cover your ears. This eliminates the need for both a hat and ear cover in cold weather. Beanie for Runners – For some reason runners seem to get new clothes and shoes but use the same old beanie they got from an expo at their first race. Now it’s faded and smelly… oh, just me? Nope. If you run in super cold weather – you need a new beanie. 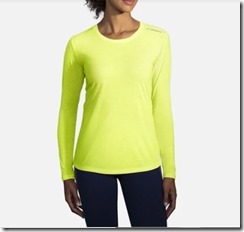 Low Profile Head Lamp for Runners – Safety first! And this makes safety easier since it’s light weight and an actual light to help keep you visible while out on the roads. Runner Head Light – Another headlight option for running in low light. Air Pods aka Ear Pods – I’ve heard great things about these ear buds. Runners who usually say other ear buds break or slip out say these are awesome even in the sweatiest conditions. Ear Warmer Head Band – cold ears are no bueno when running. I love a simple warm head band that’s wide enough to cover your ears. Reflective Neck Gaiter – add a layer of warmth and a layer of safety with this neck gaiter that is bright and has a reflective stripe. Multi-Use Wrap Neck Gaiter – I’m newly obsessed with neck gaiters that can also double as a head wrap. And this one has a picture of 12 different ways to wear it! Shop Now and receive a FREE Holiday Tech Tee with any order of $120 or more! 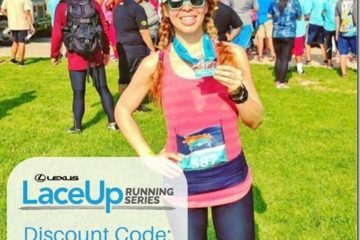 Gift Card for a Running Shoe Store or Sporting Gear Store – If you’re not sure what size or style of running capris/pants/shorts or shoes they wear – get a gift card. Compression Socks – I love Pro Compression Socks. You can find discounts and offers from them all the time when you check out their site or mailing list. And if you want Holiday Running Shoes… Brooks Ugly Sweater Shoes are the most fun festive running shoes I’ve ever seen! They just sent me this pair and I cannot wait to wear them to all the holiday things!